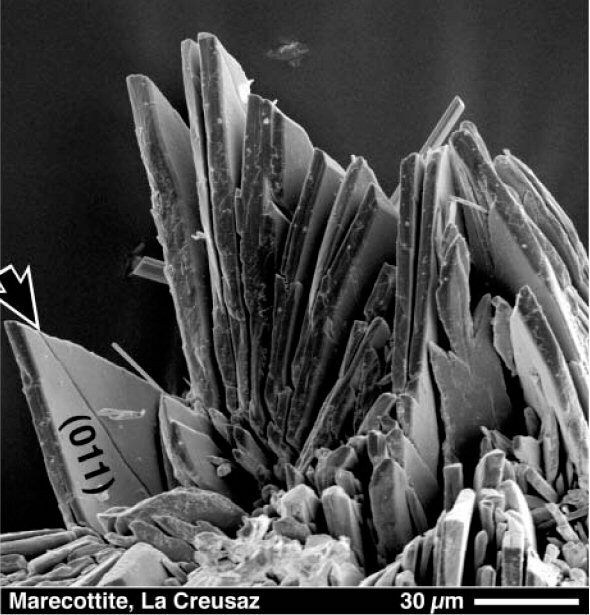 Comments: SEM image of a typical marecottite aggregate. Note the perfect cleavage along (011) and the trace of the twin composition plane (arrow). (AmMin, v 88, p 678). Location: La Creusaz, Swiss Alps.